As there are only a few more weeks until I go home to America, I’ve been slowly compiling my little stacks of things to take home. 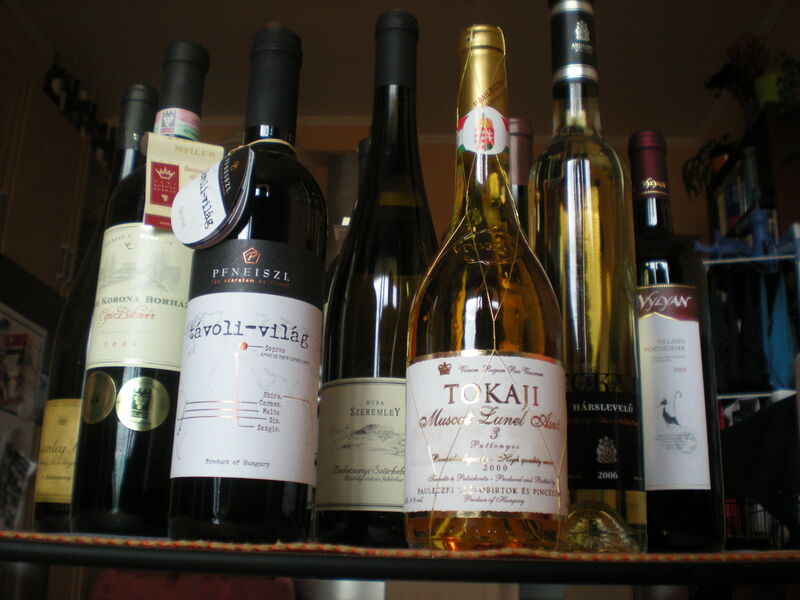 Unfortunately, there’s nothing more Hungarian than the wine, and basically it’s what everyone wants. We recently went to the wine shop and were determined to not buy more than six, as we’re only taking two bags to America. Of course we bought ten, so we’ll see if I survive the stress of packing. Luckily, according to the US Customs website, there is no limit on how much alcohol you bring through the border, only you have to pay a tax for anything over 1 Liter. But I don’t think it’s that much. 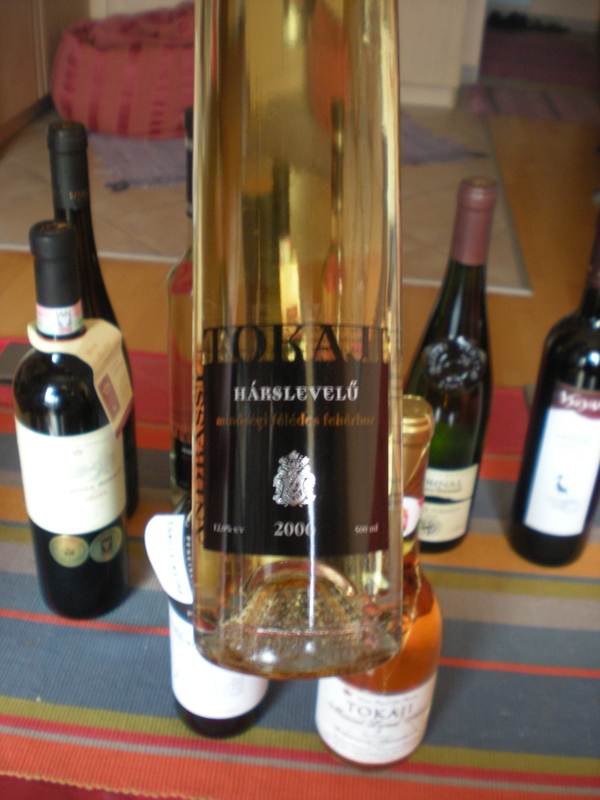 We are bringing, of course, the classic Tokaji desert wine, said by many experts to be the finest desert wine in the world. 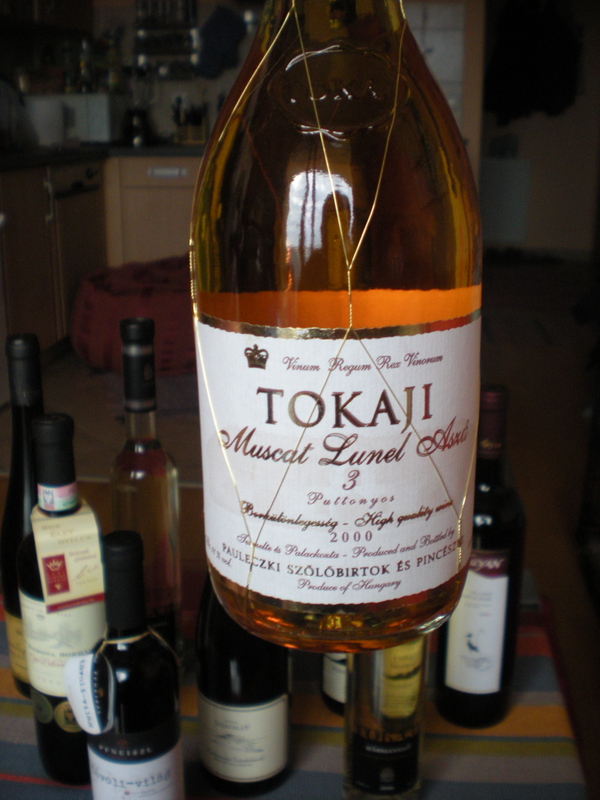 And we have a few other bottles from the Tokaji region, though they are not the sweet, desert wine. 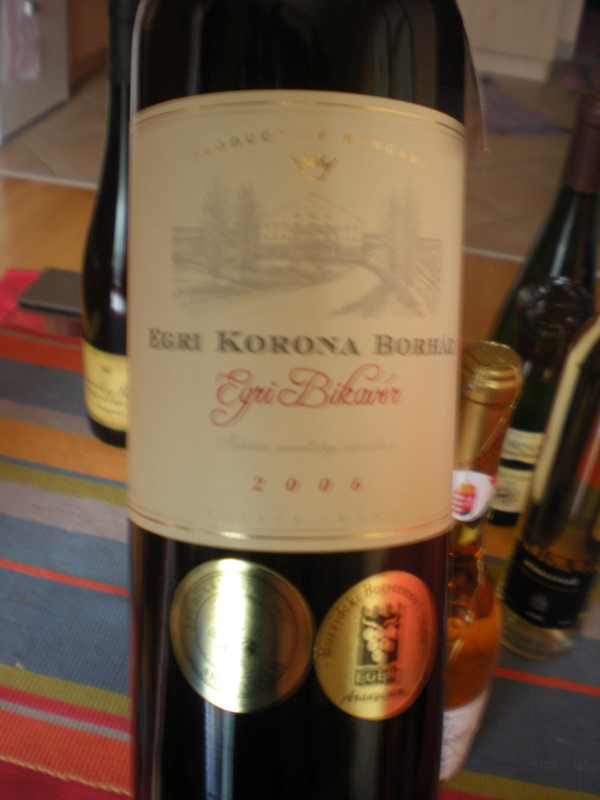 I’m probably the most excited to take home the Eger Bikvér wine, which is commonly known as “bull’s blood.” The reason for the name? In 1552 Turkish soldiers (approximately 150,000 of them) tried to siege the Eger castle (defended by a mere 2,000 Hungarian troops). During the siege, the Hungarians drank a lot of the red, Eger wine thinking that it would give them strength for the battle. From the distance below, the Turks thought that the Hungarians were drinking goblets of bull’s blood (especially since it was spilling all down their beards and armor) and were so demoralized that they abandoned their siege, which resulted in stopping, for a brief time at least, the Ottoman Empire’s advancement into Western Europe. Of course most of the wines making the trip are just simple wins that everyday people enjoy. This rizling, for instance, from the Lake Balaton region, which is light and fruity and perfect for summer. Most of all I’m just looking forward to sharing some of the great Hungarian wine culture with the people I know, especially my family members who, despite some of them being Hungarian, never realized what a great tradition of viticulturists they come from.